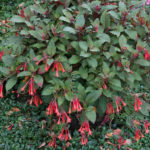 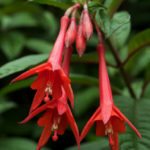 Fuchsia triphylla is a small shrub up to 3 feet (90 cm) tall. 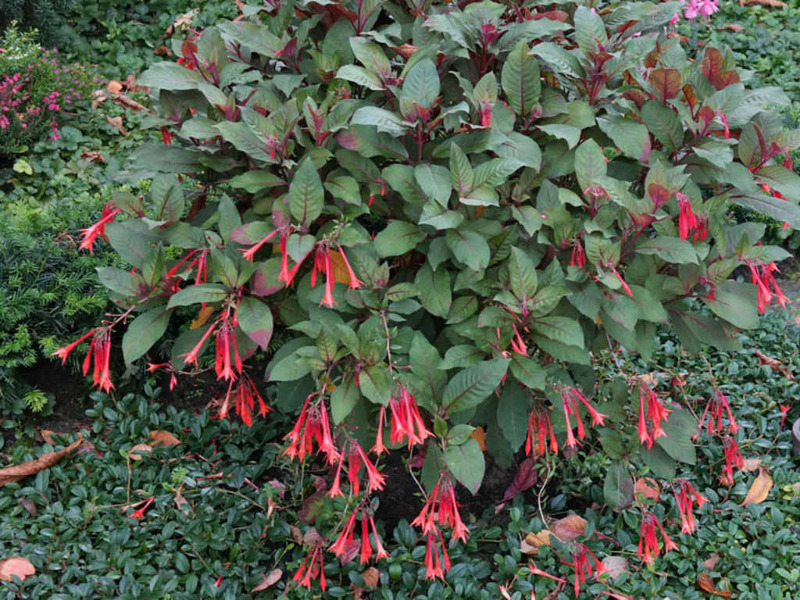 The leaves are simple, elliptical, and quite large. 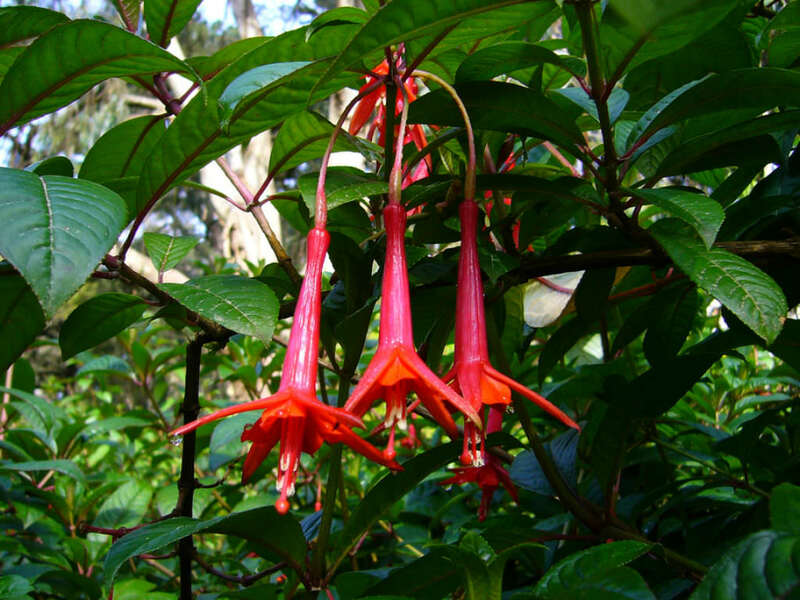 The petiole insertion is whorled and characterized with a red or maroon tint on the underside of the leaves. 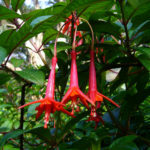 The flowers are long, tubular and generally red-orange or red-purple in color. 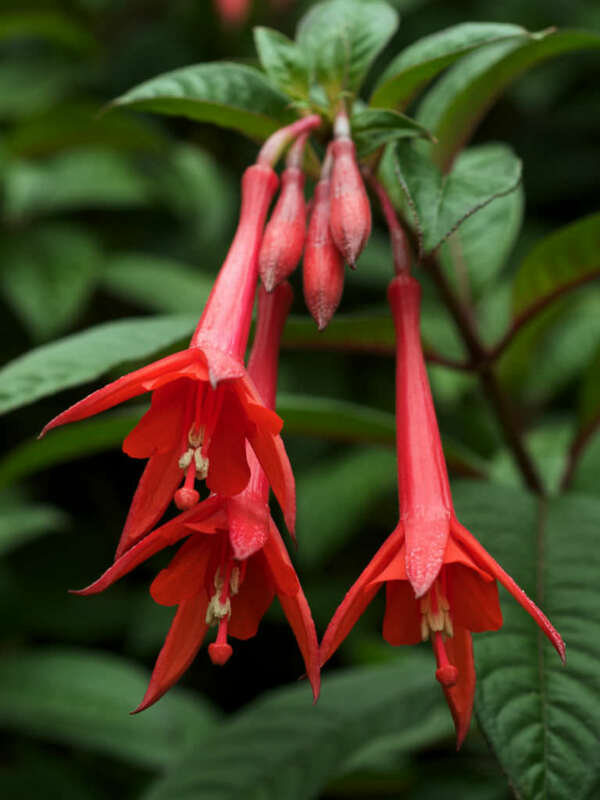 They tend to droop over and have stamens that extend from the tip. 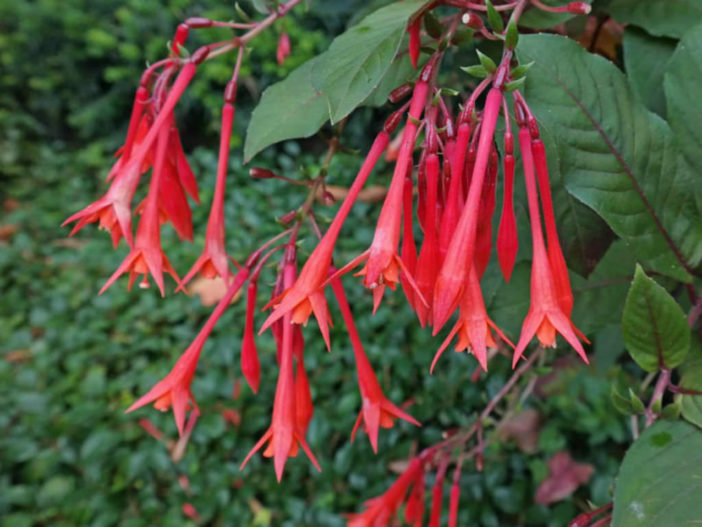 Native to Haiti and the Dominican Republic.